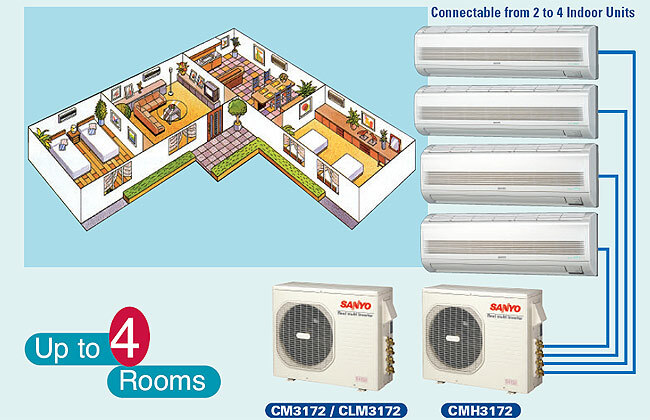 One SANYO outdoor air conditioning condensing unit. 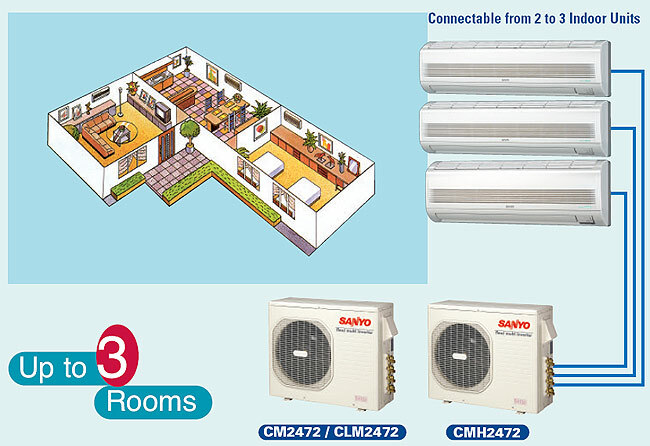 One matched indoor air handling unit, with automatic oscillating louvers. 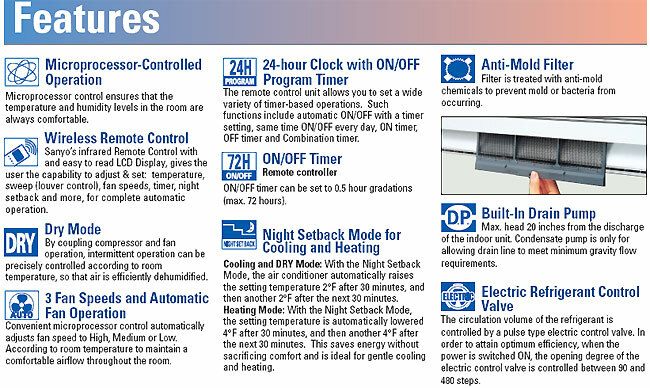 Please Scroll Down To Read Product Features, Our Warranty, Easy Installation Procedure, Shipping Info and Return Policy. 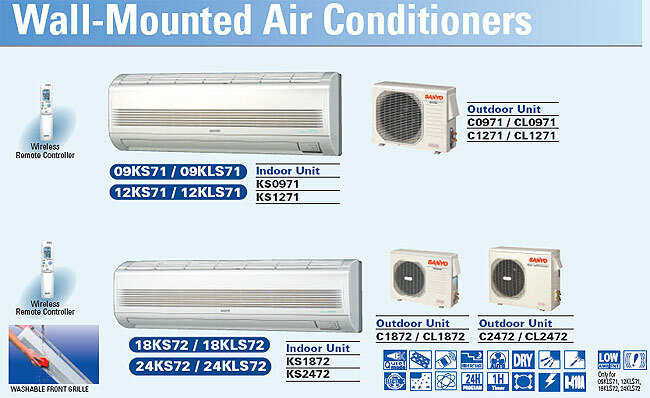 The multi-system type allows a single outdoor unit to be connected to 2 to 4 indoor units. 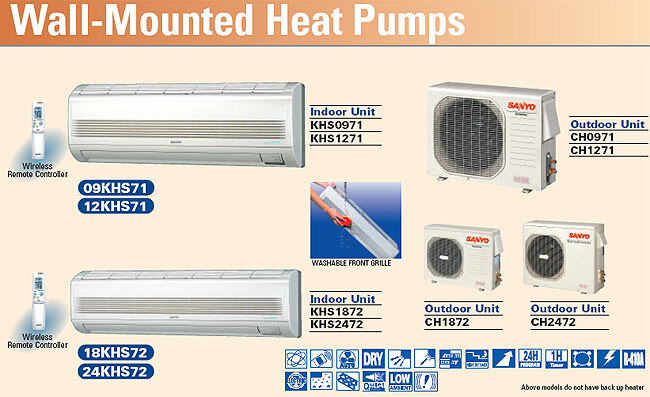 It also solves the problem of limited installation space and does not clutter the exterior of your home. 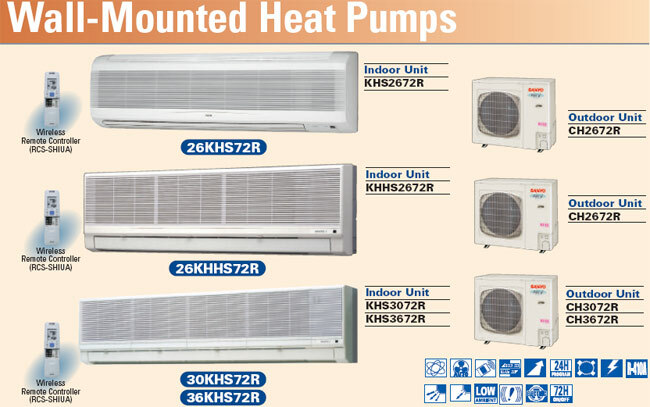 Warranty - All damaged units will be picked up at our own cost and a FREE replacement will be shipped at our own cost. Please do not accept packages if they arrive damaged. Any concealed damage will be handled as per above. 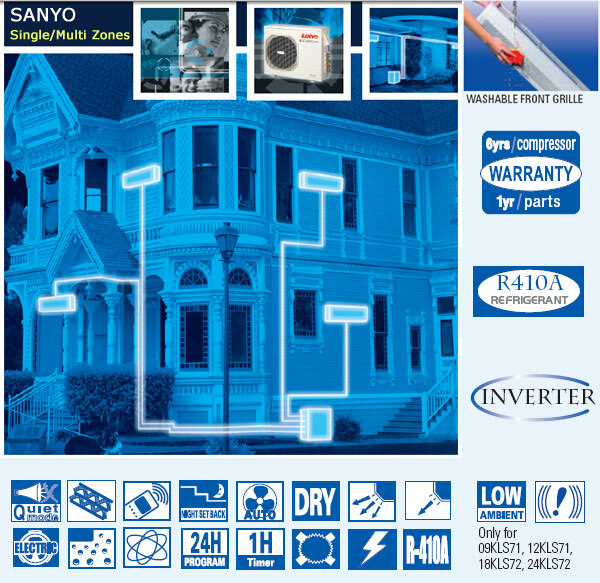 6 years on Sanyo compressor from the manufacturer. 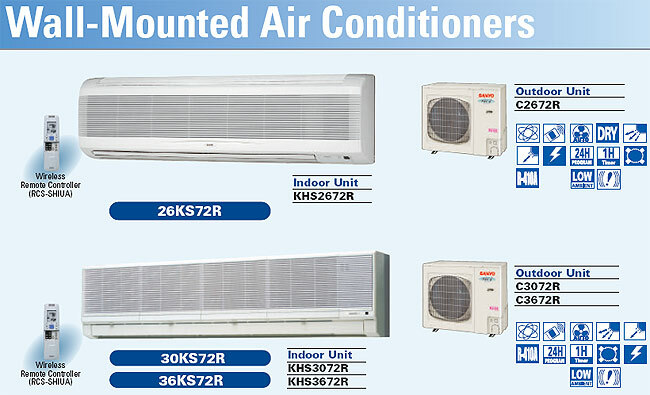 Please use a licensed Air Conditioning company for installation. If the unit is installed by an in experienced handyman instead, you may loose the warranty if that resulted in damaging the equipment. **THIS WARRANTY DOES NOT INCLUDE LABOR or other cost incurred for servicing, repairing, removing, installing,shipping, or handling of either defective or replacement parts, or complete unit. 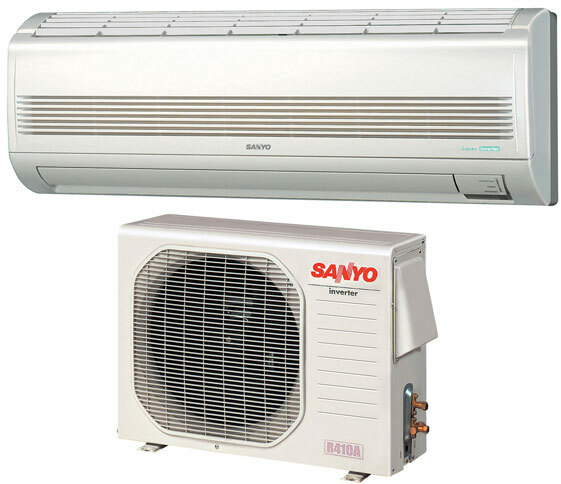 Such cost may be covered by a separate warranty provided by the installing contractor.